BIM stands for Building Information Model, a complex model used for storing, managing, even sharing with customers the data we get from building surveys. 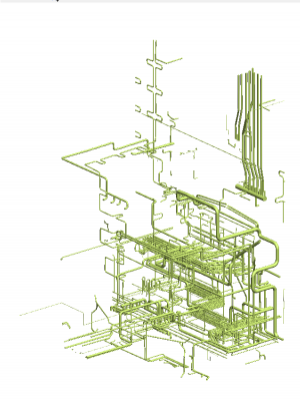 The BIM is a union between computer-aided design (CAD) and information technology (IT), this indicates that we can take its advantage throughout the lifecycle of the building. From the planning through the documentation of the building to the cost estimation, or in the facility management later. After setting the correct parameters the scheduling of the building can be simulated, thus it can be carefully planned in advance. 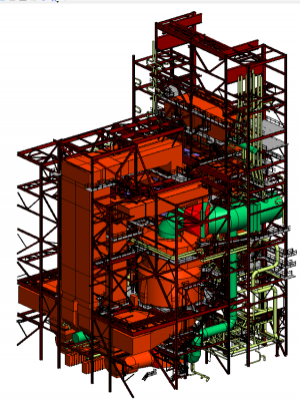 Various sources are involved to collect such a huge amount of data that is needed for a BIM. At present, the most suitable solution is the point cloud captured by laser scanner, thanks to its accuracy and ease of use.